How to calculate molecular mass? Determine the molecular formula of the compound. Multiply the atomic mass of each element by the number of molecules. Finally, add them all up! 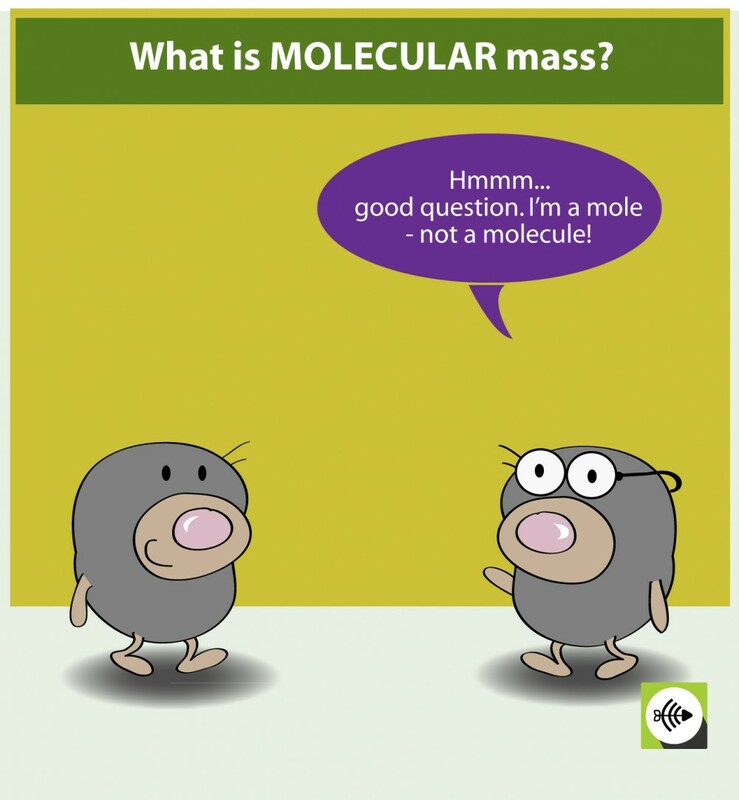 If you see molecular mass expressed in AMU, don’t worry! AMU and g/mol are equivalent to each other. Beautiful presentation. Aren’t computers wonderful. When I taught chemistry, the best we had were calculators and overheads. You are so blessed. I’ll try to convey the way I approached the teaching of the mole. It would be easier to draw it than to type it, but I’ll try. If you have an email I could send a written copy to you if you are interested in my approach. dozen is 12; gross is 144; elom is 16. An object has a mass of 5 oz. What is the mass of an elom of them in pounds? 5 oz. x 1 lb. x 16 obj = 5 lbs. The example of water: you speak about atomic weight, it must be atomic MASS!! (weight is a force: mass * gravity). Thanks Piet for submitting your comment! I’ve changed the term “atomic weight” to “atomic mass” to be absolutely clear.